Valtteri Bottas might have had Lewis Hamilton’s gearbox penalty or Romain Grosjean’s Q3 breakdown to thank for his second victory of the season. But who’s to say he wouldn’t have won it anyway; it wasn’t conclusive. Nor was the charge laid at him by Sebastian Vettel and Daniel Ricciardo that he’d anticipated the start. The FIA looked at the footage, measured the reaction time as 0.201sec – which is quick but not super-natural. The loose guideline – it’s not a regulation – is that anything beneath 0.2sec will be treated as suspicious. There are people who can regularly test at 0.17-0.18sec, but the human average is around 0.3sec. Vettel’s in this instance, from alongside Bottas on the front row, was 0.364sec, thereby making Bottas’ reaction look faster than it was. But those times are just the gaps between the lights going out and the car beginning to move, rather than actual reaction times. There is inevitably some residual delay – maybe less than half-a-tenth – in the car’s mechanicals, a gap between the driver releasing the clutch paddle and the wheels beginning to turn. So long as the car takes more than 0.2sec to begin moving after the lights have gone out, the stewards are generally satisfied. 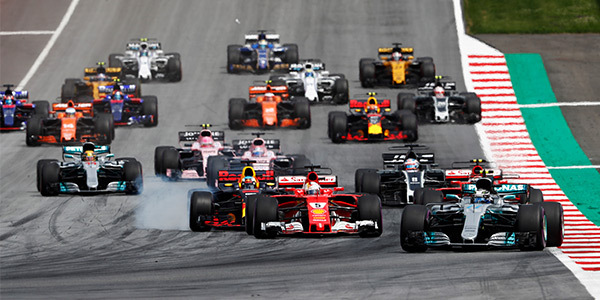 But that doesn’t mean that the driver didn’t make a lucky gamble to release in anticipation of the lights – which Bottas admits he did.